I bought this ravioli at superstore for $4.99. 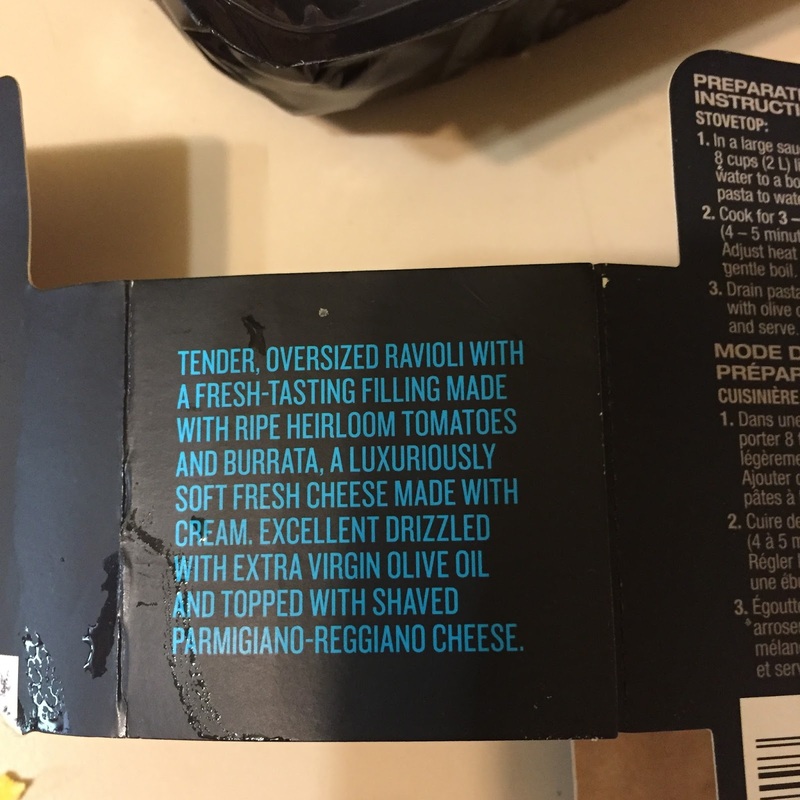 The description on the box in summary said Tender oversized Ravioli with a filling made from heirloom tomatoes and burrata cheese. The pasta is made in Italy and it was a very light pasta with a good amount of filling. I liked that I could hold the ravioli without it falling apart in my hands yet the pasta was really thin. The filling inside was a good amount with the cheese separated from the tomato. I really liked the flavour in the filling as it was well seasoned. The box said it would be good drizzled with olive oil I tried that on one piece after I had eaten a few plain from the pot. I liked it plain better there was already good flavour in it so I found the olive oil overpowered the flavour. I really liked this pasta it is so light that I had to stop myself from eating the whole package in one meal. To get any pasta similar to this I would have to go to an authentic Italian restaurant where I am sure it would cost me upwards of $15 for half the portion so $4.99 for this pasta is a great deal.